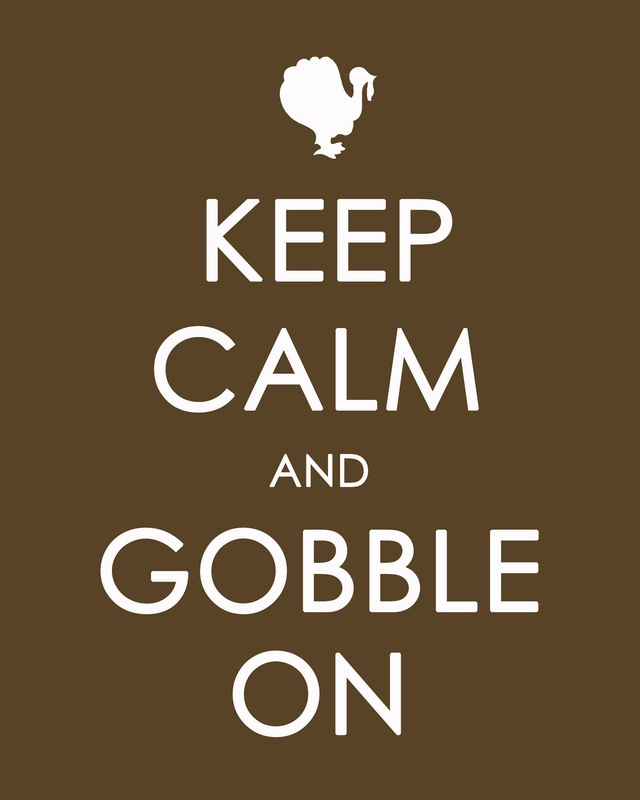 Happy Thanksgiving to my art loving friends. Thank you for liking Denver Art Matters. It’s been so much fun. Bam Bam, a once angry, snarling circus lion is now a contented king of the plains living in Colorado. One of the most heartwarming films at the 36th Starz Denver Film Fest is the Lion Ark. The ark was a huge cargo plane that transported 25 circus lions out of Bolivia. The lions had lived in isolation or crammed into cages, 8 to 10, all of their lives. What I did not know is that lions should not be isolated, they are social animals, they want to be with other lions, a la, a lion’s den. In the early 1990s Animal Defenders International (ADI) caught wind of the horrid conditions for circus animals in Bolivia. To confirm the reports they covertly infiltrated the training sessions as circus employees. Sadly, ADI witnessed unthinkable atrocities. Thus began immediate maneuvers to ban wild animal circuses and rescue as many circus lions as possible, and, get them out of Bolivia. The documentary displays the circus owners’ rebelliousness and struggle to keep the animals as their own, which as tradition, has been their livelihood. That part was painful to watch. Despite the living conditions, many trainers loved their animals and, in a circus heritage, most of the trainers and performers followed the footsteps of those before them. South American countries, where many circus performers come from, are born into the circus. Generation after generation live the circus life. Unfortunately, abusing animals crosses all borders and not just in South America. The trend around the world is to ban all wild animal circuses thanks to ADI. Even in the United States. Hence, the rise and popularity of Cirque de Soleil, which features all human performers. As the documentary unfolds we become attached to the lion, Cola Cola who has been living alone and has become one big angry cat. Then there’s Champion who lived in such a small cage his left leg and paw was deformed. You get to know Bam Bam and three lucky little cubs born in a Bolivian circus cage. Luckily, before they are old enough to be physically abused they are transported with their mother to Colorado where all 25 lions live to this day, thanks to The Wildlife Sanctuary just north of Denver. Thank goodness for people such as Tim Phillips and his wife, Jan Creamer. Without their love and dedication for freeing circus animals in Europe and South America the Lion Ark would not have left Bolivia. And, many thanks goes to our own, Bob Barker, of the Price is Right who is known for his animal rights and support for all animals. Without his help all 25 lions would still be cooped up in cages, whipped, beaten and starved. Tim Phillips and Jan Creamer have been traveling and promoting the Lion Ark since last summer. They’ve traveled to film festivals from Los Angeles to Mississippi, New York and Denver. The Lion Ark has been a hit on the circuit because animals like one old movie actor whined, ‘never play next to a kid or an animal.’ Animals are stars. The Lion Art documentary is heartwarming and an eyeopener to educate us all on the need for banning wild animal circuses. I spoke to Tim Phillips after the screening of Lion Art at the Sie Film Center. DAM: How were you able to go in a take these animals from the circuses? Phillips: Jan & I have been campaigning for animals for 35 years. In 1990, we started receiving reports about abuse in circuses in Bolivia. We asked ourselves, how do they get these animals to perform? Using investigative research in 1998, we had the first evidence of animal abuse. By 2005 we had recruited a group to infiltrate circuses in Bolivia, Ecuador, Brazil, and Columbia and, by 2007, the evidence was overwhelming for violent treatment of the animals. It shocked the people and the government. It started the wheels turning toward banning wild animals in circuses in South America, especially Bolivia. After several overturned bills, in 2009, a bill was passed that banned wild animals in circuses in Bolivia. DAM: Were the circus people aware of this new bill? Phillips: Yes. You see in the documentary how they resisted. It got violent a few times. But we were working with the government in Bolivia and insured them we were committed and we wouldn’t embarrass them. We reiterated, we were there to help them get the animals relocated. DAM: What is the circus culture in South America? Phillips: It is a culture of cruelty where they control the animals with deprivation and confinement. We found that a constant thread throughout the culture. There is ignorance involved but, the animals are considered a commodity that doesn’t matter. Making them perform with whatever it takes is the tactic. They’ve been doing it for many years. DAM: Is it that way in the U.S.? Phillips: Unfortunately, yes. There is evidence of electric shock used here. And the sad part about the U.S. the animals are kept on trucks in parking lots. DAM: Are we working on banning wild animals? Phillips: Yes. But the traveling animal protection act has been tabled and it’s going to take several reintroductions. The first step we’re looking at here is a reintroduction in the US Congress. DAM: So, in other words, no animals in circuses anywhere? Phillips: Until the late 1800’s a circus’s main attraction was humans. It was then they introduced exotic animals. Now we are trying to replace animals with humans, such as Cirque de Soleil, which is an animal free circus. DAM: Did the Bolivian government pay the circuses for their animals? Phillips: The government agreed with us and was shocked by the evidence of cruelty. We raised the money to save the lions and transport them to Colorado. The Bolivian government allowed us to take them from the circuses but we were responsible for their well-being once they left their cages. That’s where Bob Barker came in. He contacted us when he heard about the Bolivian government banning wild animals in circuses. He said, “I’m going to help you. I’m giving you a substantial amount of $2 million, to get those animals to a safe place.” His involvement enabled us to do everything we needed to do for their relocation. We’re now working in Peru to save the circus animals. All laws have passed in South America to ban wild animal circuses. It’s just a matter of time. We’re having trouble in Peru right now. Our counters (workers that count the wild animals in capitivity throughout the country) have been beaten, assaulted, their legs have been broken. DAM: I loved seeing the animals as they stepped on the ground in Colorado. It is cold here, they are African lions. How did they adapt to such a cold climate? Phillips: It was February when they arrived, in the middle of winter. They came from 100 degree temps. We had to build a dome with grass and trees to protect them until they could begin to adapt. By the spring they had formed families and were living in underground dens outside the dome. It was so cute, when they saw their first snow the next winter they frolicked like young puppies do, jumping and rolling in it. All of the animals had problems but they are thriving. Cola Cola was such an angry lion. He is content and peaceful now. I feel the best about him. I didn’t think he’d ever mellow. Champion, with the deformed leg, is strong and still with his family. He was weak when he arrived at the Sanctuary but with the help and constant attention from his mother and sisters he is a happy boy. He’s lame but it doesn’t matter. It was certain he would have died if he hadn’t been rescued from the circus. DAM: Who’s paying for the upkeep of the group? Phillips: We’re still funding the care of the animals through fundraisers. You can visit the sanctuary daily and if so inclined and you can adopt a lion for $36 a year which helps with their up keep. There’s also volunteer opportunities and you can visit the sanctuary and walk along the mile long walk way over the 25 acres. I was told occasionally a rabbit will wander in and meet his demise by Bam Bam or Cola Cola. The Wildlife Sanctuary is located in Keenesburg, CO. To adopt go to AD-Internationaladopt.org, or check the Wild Animal Sanctuary on Facebook. A trailer for the documentary can be seen at LionArkthemovie.com. 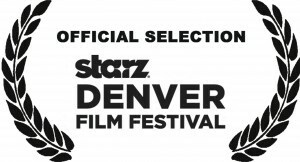 The Starz Denver Film Festival is pivotal to the [mental] well being of its citizens and, the best reason for celebration as the winter sets in. This is when film freaks soak up miles of celluloid. We savor the taste of never to be seen again movies from Belgium, Holland, Australia, France, Japan, etc. The SDFF is two weeks in November when movie lovers become anxious. How can one see every movie? As god is my witness, I try. Our cinema intrigued city is made up of movie addicts and, not just run-of-the-mill, general-audience movie-viewing nerds. Denver and its cinema aficionados are true silver screen fans. Very few cities the size of Denver have more than one Indie Film theatre. Denver has four – The Mayan, Sie, Esquire, Chez Artiste – each regularly bring thought provoking, real and spectacular films to hungry celluloid freaks. As the 36th Starz Denver Film Festival gears up, some lucky writers are given the opportunity to view screeners. I try to take advantage of the couple of weeks before it all begins to see as many screeners and screenings as possible. As I went through the list of screeners, I picked Hannah Ranch in my first batch to watch. It set the tone. Colorado is no longer just a state West of the Mason Dixon line. It has become an important hub for movies, airlines, sports teams, politics and sustainability issues focusing on the environment, animals, products, waste management, economic growth, organic food and preserving farms and ranch land. The movie Hannah Ranch brought those thoughts home. The movie is about all the above. But more importantly it is about one family’s love of the land. The Hannah Ranch was established in the 1940’s and continues today. Their story is not unusual nor joyous. If you’ve read or seen ‘Lonesome Dove,’ living off the land, farming, ranching, it is continuous hard work. Every day. 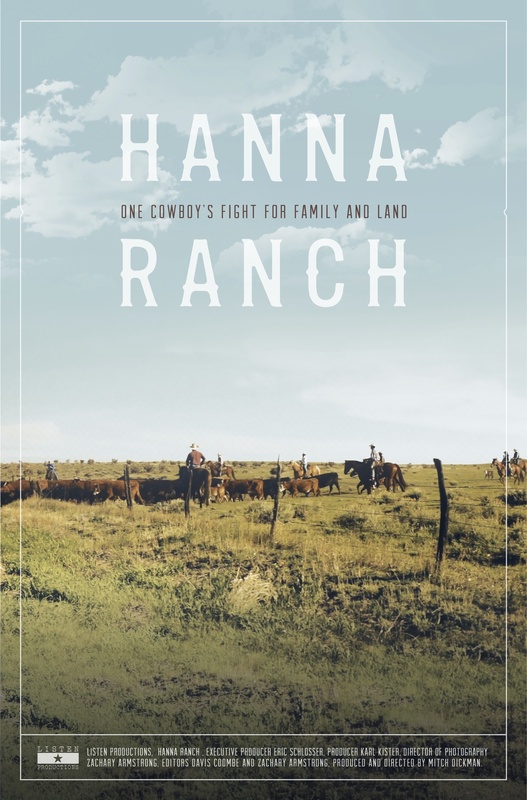 Mitch Dickman, director/producer, hit on every nerve of old Colorado ranching families. Today, living off the land means staving off growth from every direction. Just living with and repairing fractured family disputes for preserving family traditions is daily. The constant knowledge of developments creeping closer to threaten historical land boundaries. There’s a significant difference between city dwellers and ranchers. City folk don’t think much about the land. But to the Hannah’s and original Colorado landowners, the land and how to keep it close to the heart is an all consuming way of life. Ranches are dying. Hannah Ranch is a movie about keeping watch over the dying. Kirk Hannah, cattleman and industry leader, represented in Fast Food Nation, was known as the eco-cowboy for his early holistic resource management practices. He gave it his all. As you will see in the movie, there’s nothing quite like the view of the Rocky Mountains while sitting atop your horse before the sun has fully risen or, the smell of fresh cut hay, animal sounds, cattle smells mixed with…the opening of a new Walmart directly across the road. South Pearl is pretty cool, even cooler now. With the Breckenridge/Wynkoop’s latest venture in full swing, neighbors and visitors alike are in awe of the new dining adventure – named for a new way of dining – sessioning means sharing. Meals are served in cast-iron pots and priced per person. What separates this new restaurant is the interior. 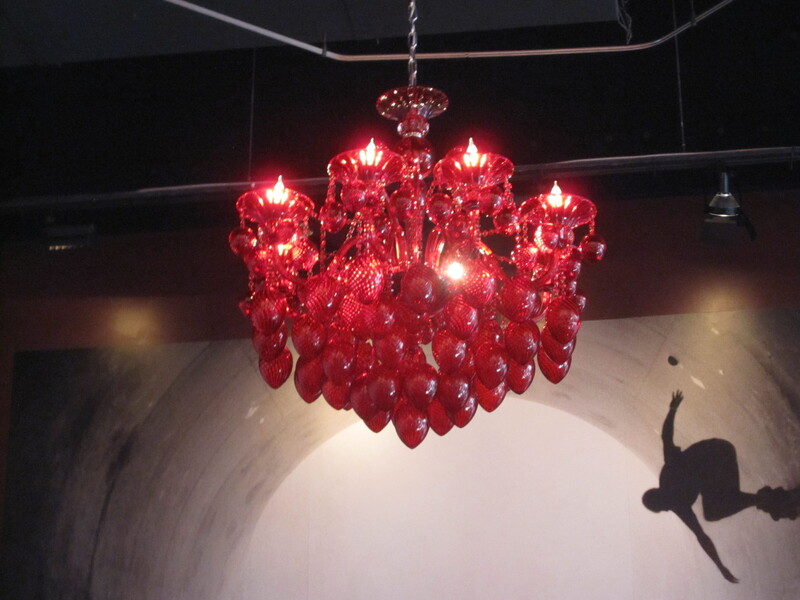 Concept Director, Lisa Ruskaup and her team set out to design a gallery within a restaurant. Denver Art Matters posted the first look inside Session Kitchen in October before its opening. I made a second visit while food and shift sessions were happening like clock-work. 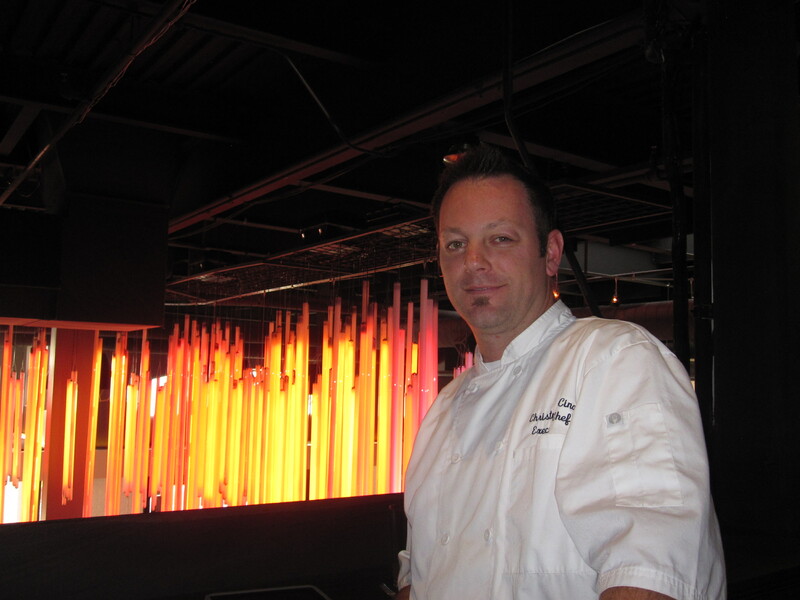 The experience of Session Kitchen focuses on a menu designed by Chef Scott Parker from Table 6, and, the art. Inside the Kitchen is a dining experience transcending any other except, for perhaps, a gourmet restaurant inside a world-class contemporary art museum. 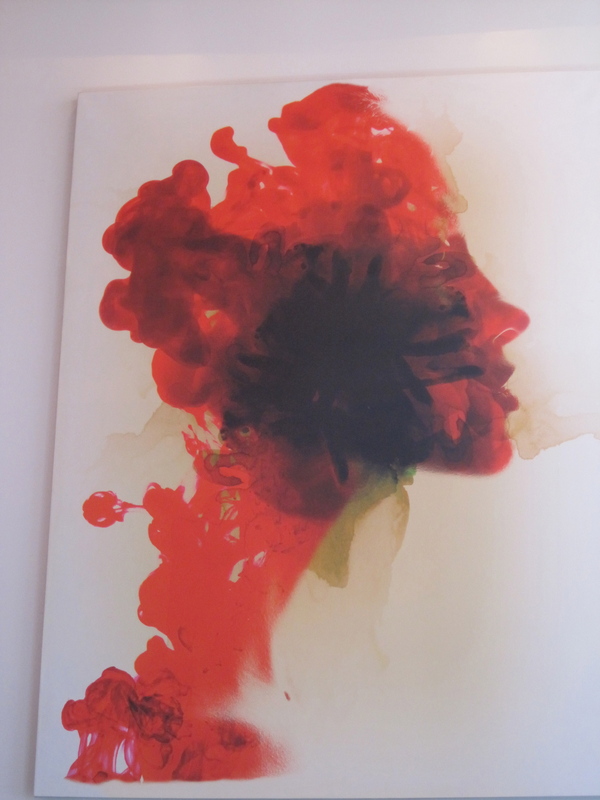 Here is the latest art added to Session Kitchen. Despite the openness and floor to ceiling glass the Kitchen feels and smells warm and healthy. 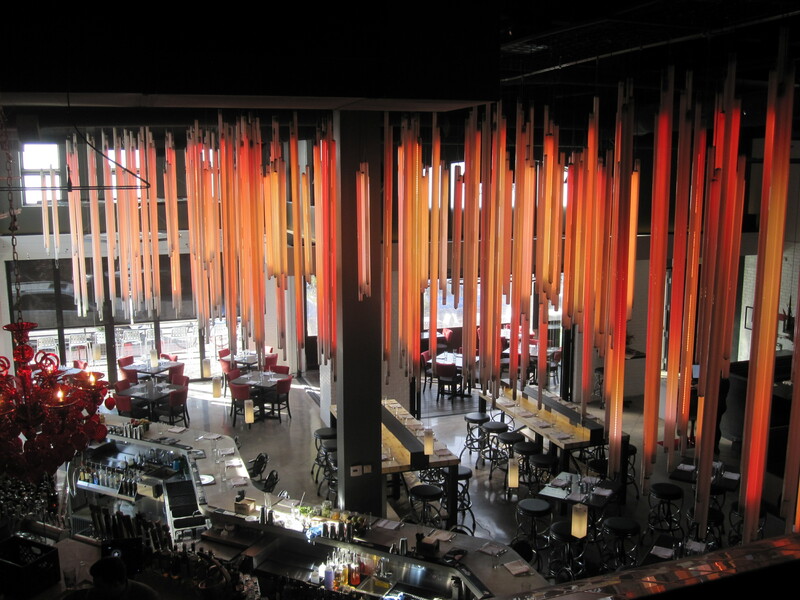 Art and ambiance take center stage where diners relax with friends for a session of food and drink. 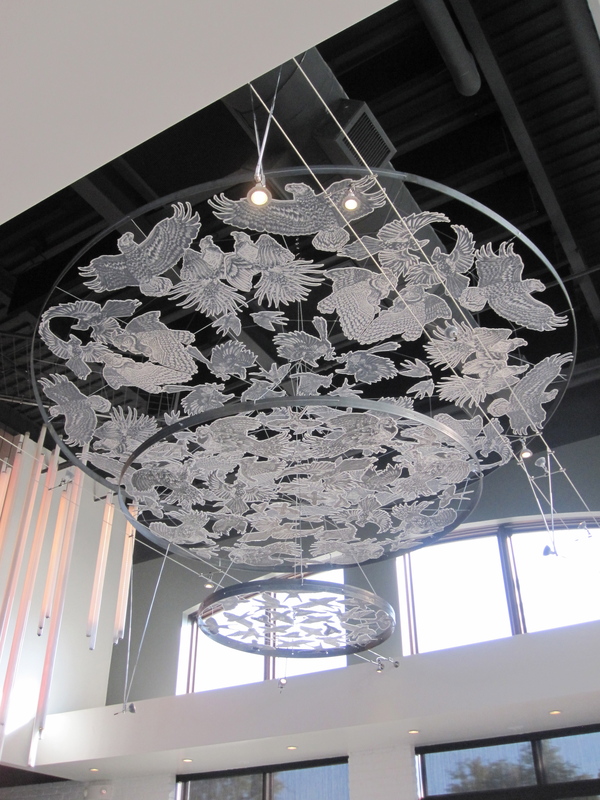 Tiny Bird mobile by artist, Emi Brady, Denver.